The Aqua Mist Medium Rustic Candle, set of 3, leaves behind a trail of fresh hydrated fragrance that is specifically formulated to build a calm & rejuvenating atmosphere for you. 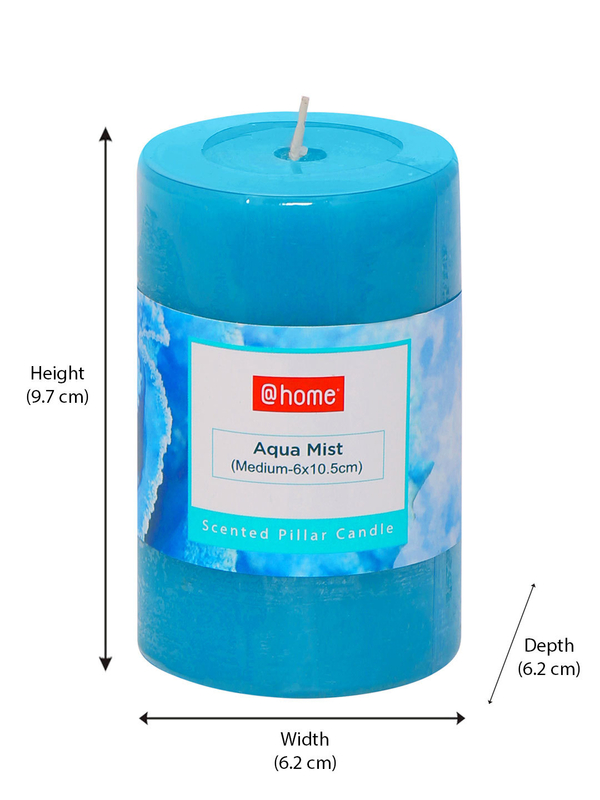 The tinge of aqua, inspired by the free flowing tides of the ocean is long lasting and is sure to keep your house fresh and neat while also elevating your spirits high up. Light it up beside your bed, and dive deep into a cool, calm and cozy night, away from all the worldly chaos, where your mind can rest well.